The Bangladesh Cricketers will be traveling down under for a three-match Test series in New Zealand. Bangladesh will play three Test matches and as many ODIs in New Zealand in February 2019, New Zealand Cricket confirmed on their official website on Tuesday, July 31. This will be the Asian side’s first three-match Test series overseas in 11 years. They had last played a three-Test series abroad in 2007 when they lost to Sri Lanka 0-3. “Bangladesh, which at the weekend flagged its threat with a 2-1 ODI series win in the West Indies – it’s first overseas series win in the 50-over format for nine years, will touch down in New Zealand in early February ahead of playing three ODIs, and Tests at Hamilton, Wellington, and Christchurch,” said the website post. It also said that the New Zealand board had thought of scheduling the opening Test at Seddon Park as a day-night affair but the Bangladesh Cricket Board did not agree and it was rescheduled as per the normal hours of play. 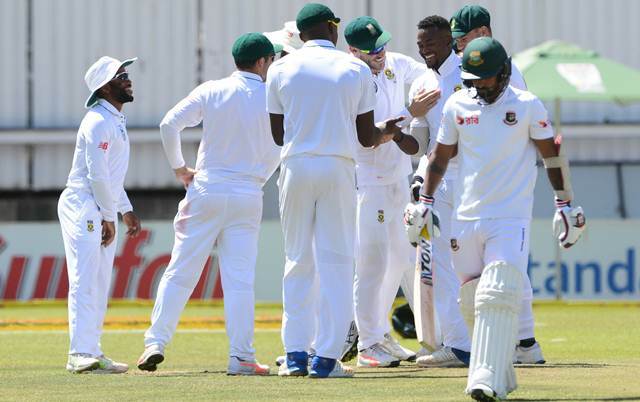 Bangladesh, currently ranked ninth in Tests as per the ICC, toured New Zealand in the 2016-17 season for a two-Test series and lost both the games. The 2019 series will begin with the ODIs to be played at McLean Park, Napier, on February 13, Hagley Oval, Christchurch, on February 16 and University of Otago Ova, Dunedin, on February 20. The Tests will follow after the limited-overs series. Bangladesh has played 13 Tests against New Zealand, currently ranked fourth in Tests, since 2001 but haven’t any game. They have lost 10 matches while three games have been drawn. Bangladesh played their first-ever three-Test series against Pakistan in Pakistan in 2003, losing all the games. Their last three-Test series was against Zimbabwe in 2014-15 and they won it 3-0.